It’s no secret that my dream has always been to own and live on a farm. And now, when I put my daughter down to sleep at night, it’s become our dream. She closes her eyes knowing that one day we’re going to ride horses, run through blueberry plants, and go swimming in our lake. Everyone on our farm has a job: she’ll collect the eggs, Mommy picks the fruits, the Grandma’s feed the goats, and I milk the cows. Then, we all sit down for breakfast. Honestly, it’s really a damn-good dream. “There will never be any chickens in our house,” she replied. “Get a better dream.” she answered. Focus on getting a real job instead so we can pay the mortgage. We have babies and chickens carry diseases. Chickens are dangerous and can poke your eyes out. We have cats and racoons in the neighborhood. Have you even heard what a chicken sounds like? They are loud. Who’s going to clean the coup? You? What are you going to feed the chickens? Have you thought about these types of logistics? Do you ever think about logistics!? After they stop producing eggs, what do we do with the chickens? DO YOU EVEN EAT EGGS, BRO? So as you can see, my farm-dream is currently stalled. So if you have a thriving backyard farm, I am jealous. Second, I also need your help convincing my wife it’s a good idea to start one. Comment back with ideas and help me build a better list! Got farm dreams? Comment and let’s discuss! Follow the shenanigans on Facebook, Instagram, and Pinterest. Or email me directly to say hello! Eggs are grosser when you have to collect them from a chicken that has just pooped them out. Teamwork makes the dreamwork! Lets hangout and discuss our game plan. Christopher Nolan where are you?? Lol. 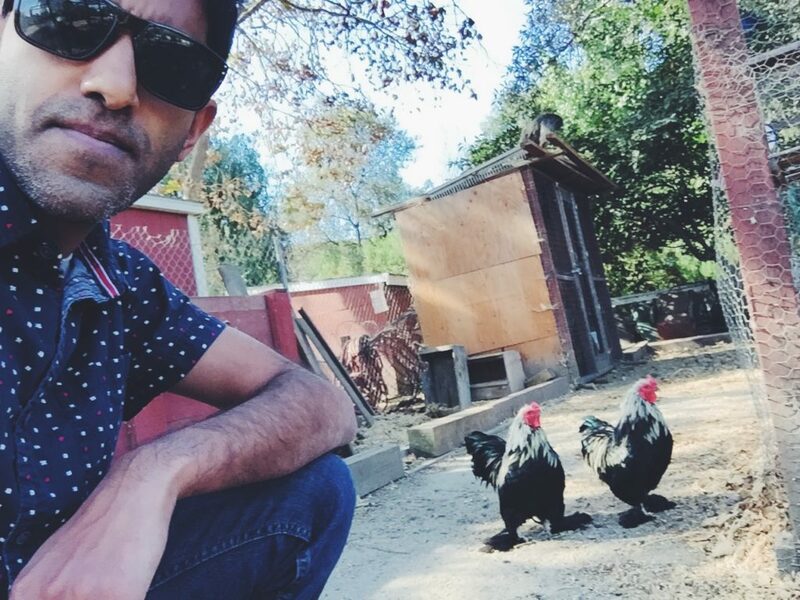 Ask my uncle Manny Zarate how his chickens are doing. His family has had chickens for about 5-6 years. I’ll definitely ask Manny and get some tips!